time Timetable is scheduled at the school's convenience. cost Please contact us for costs. Develop confidence, boost social skills, be creative, get buzzing with Interactive Drama, Dance and Singing Workshops at your school for kids 3-13. Original Music, high energy fun! Give your school children the gift of confidence to express their individuality. Our workshops BUZZ with energy and are guaranteed to be the most fun your child will have all week. Let Buzz inspire your Teachers and educators and pass on practical skills and tools to bring everyday learning alive with creativity and fun while ensuring all CAPS requirements are met. 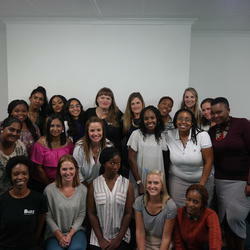 This Buzz Module – Bring Learning Alive – is led by one or two highly trained Buzz leader(s). 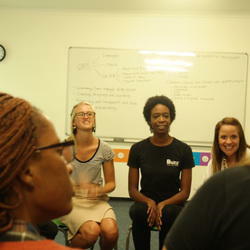 The module can be led comfortably for a minimum of 4 but no more than 25 teachers and educators. The workshop duration is 2 hours. 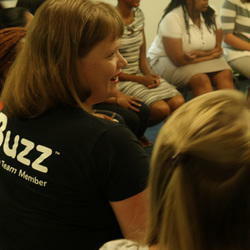 The Buzz Workshop would take place at your venue of choice. This Buzz Module will inspire. It will equip your team with the skills to ignite a new kind of teaching and in turn a new kind of learning for your children, infused with creativity and fun. The Buzz workshop will create an environment for your staff to show their best talents, greatest abilities and best ideas during the workshop and every school day thereafter. An overall increased productivity and success in your school is inevitable.